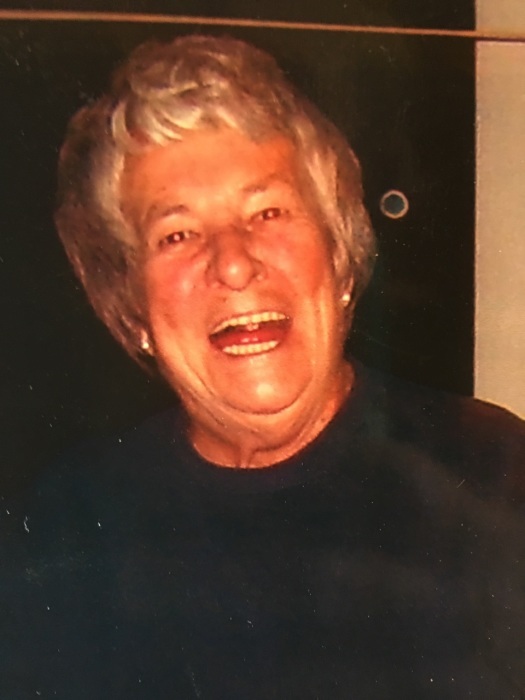 SACO - Nancy J. Griffin, 83, of Old Orchard Beach, passed away peacefully Friday, August 11, 2017, surrounded by her family at Seal Rock Health Care in Saco. She was born on February 9, 1934, in Haverhill, Massachusetts, daughter of William and Irene Griffin. Nancy moved to Old Orchard Beach as a child and graduated from Old Orchard Beach High School (class of 1951), going on to graduate from the nursing program at Hartford Hospital in Hartford, CT. Nancy worked as a visiting nurse for over forty years in Connecticut, coming back to Old Orchard Beach during most summers. After retiring to Old Orchard Beach in the late 1990’s Nancy enjoyed spending time with her family and many friends. She had an especially close bond with her great nephew and nieces, Jack, Molly and Emma Cianchette, having helped care for them from birth. Nancy was known for her contagious laugh, sense of humor, love of a good time and her caring and compassionate ways. She loved her family and her numerous friends (both new and lifelong), and she loved all animals. Nancy was predeceased in death by three brothers, William, Jr., Ralph, and Rodney Griffin. Survived by her two sisters Eleanor Gaudreau of Northampton, MA, . and Jacklyn Tierney of Old Orchard Beach, eleven nieces and nephews and numerous great nieces and nephews. The family would like to thank the staff and nurses at Seal Rock Health Care for their love and caring of Nancy for the last eighteen months. Funeral Mass 10:00 AM, Friday, August 18, 2017, St. Margaret’s Church, corner Old Orchard St and Saco Avenue, Old Orchard Beach. Arrangements Old Orchard Beach Funeral Home.